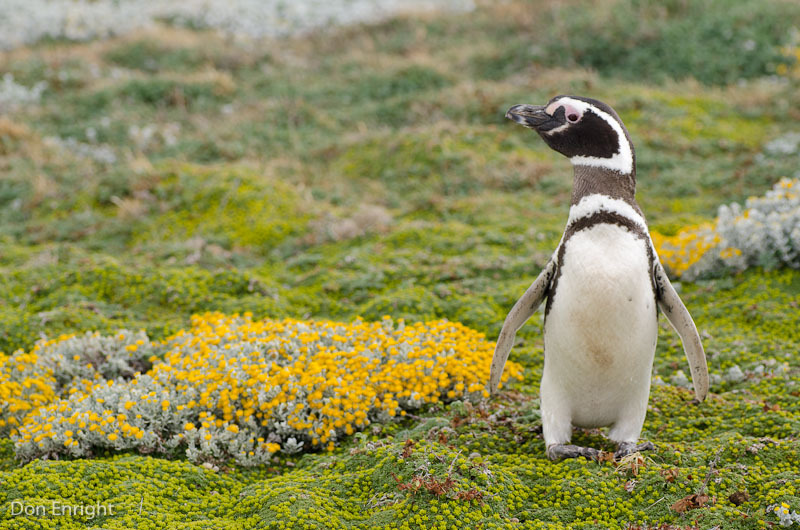 Magellanic penguin on the Patagonian tundra. 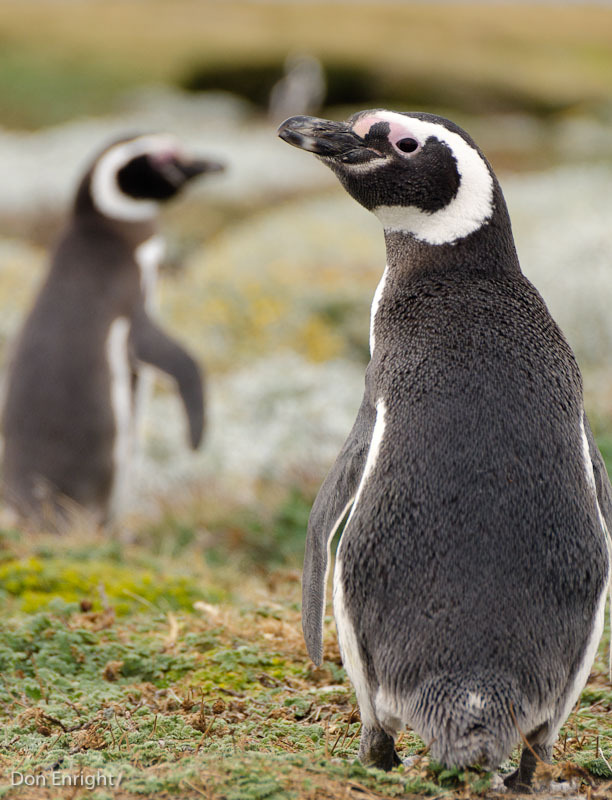 This is home to Magellanic penguins- they’re Patagonian specialists, and Chile and Argentina have hundreds of thousands of birds. Looking back on my childhood, I think it’s safe to say that my world view was overly influenced by cartoons. 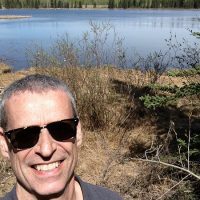 I suppose that’s true of any child of the 1970s, but it wasn’t until recently that I realized that some of my impressions of faraway places were a bit, well, fantastic, in the truest sense of the word. 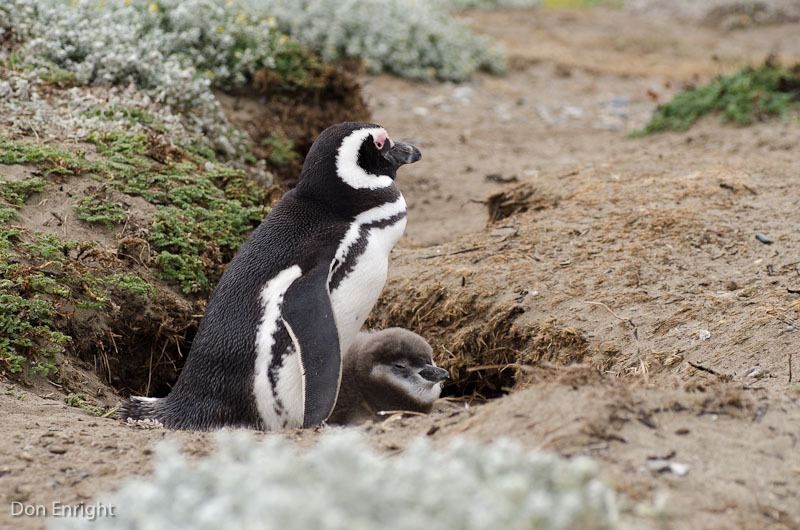 And so you can imagine my excitement when I got the opportunity, not long ago, to visit a nesting colony of penguins near Punta Arenas, in Chile’s Patagonia region. Penguins! Onto the bus I trundled, filled with visions of adorable chubby birds in squeaky tuxedos, skating about with polar bears and walruses. Actually, I’m enough of a science nerd to know that penguins are south-polar, and those mammals are purely Arctic. You did know that, right? 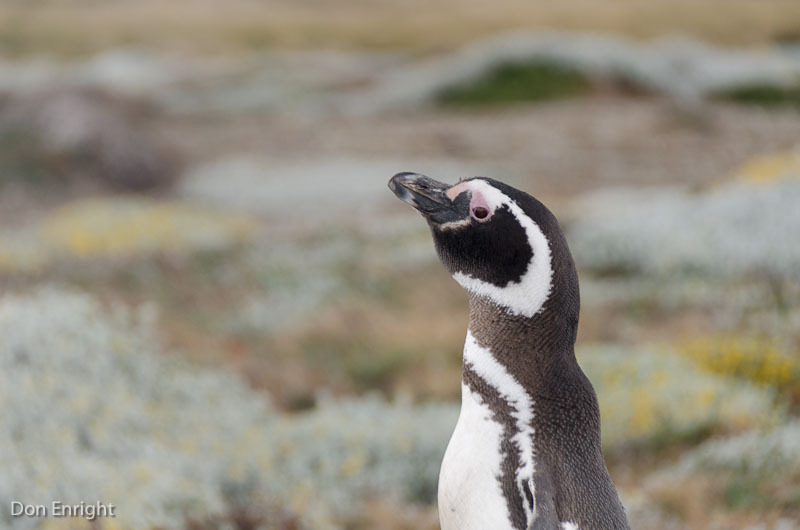 Magellanics have the double black stripe on the upper breast. Arriving on the blustery tundra of Seno Otway (Otway Sound), it occurred to me that I really didn’t know much about the life of a real penguin in the wild. Turns out it’s not an easy one. You’re looking at my bum, aren’t you? It was a bit strange to see these black-and-white characters against the greens, yellows and pinks of a South American meadow. 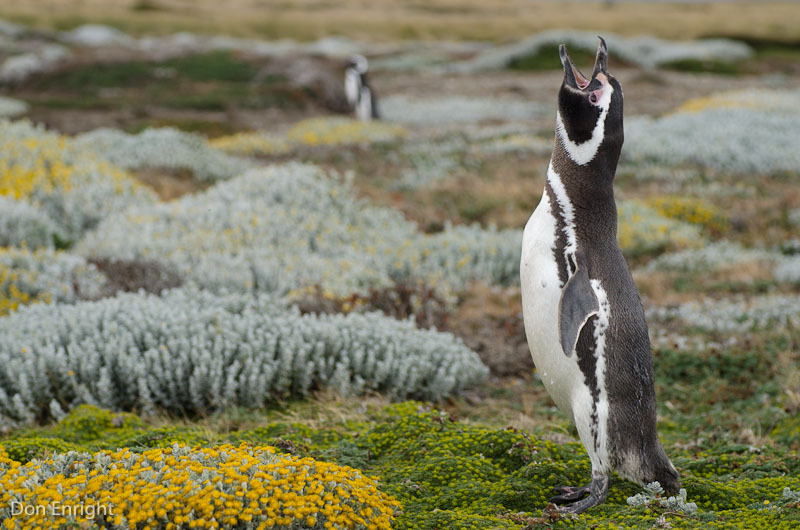 But this is home to Magellanic penguins- they’re Patagonian specialists, and Chile and Argentina have hundreds of thousands of birds. The wind was howling- we were very close to the legendary Strait of Magellan- and the flora looked a lot like that of the alpine meadows I knew and loved back in Alberta. They bray. Like a donkey. You don’t believe me, do you? Penguins spend most of their lives at sea, and it had been quite something to spot them from the ship a couple of days earlier. Tiny dots in the water, nearly black from above and prostrate like a swimming duck, these birds were a far cry from the skating, scarf-wearing cuties of my TV-watching youth. I couldn’t help but remark how tough they must be. These waters are cold, stormy and rough, and there’s no shortage of hungry killer whales in the Chilean fjords. 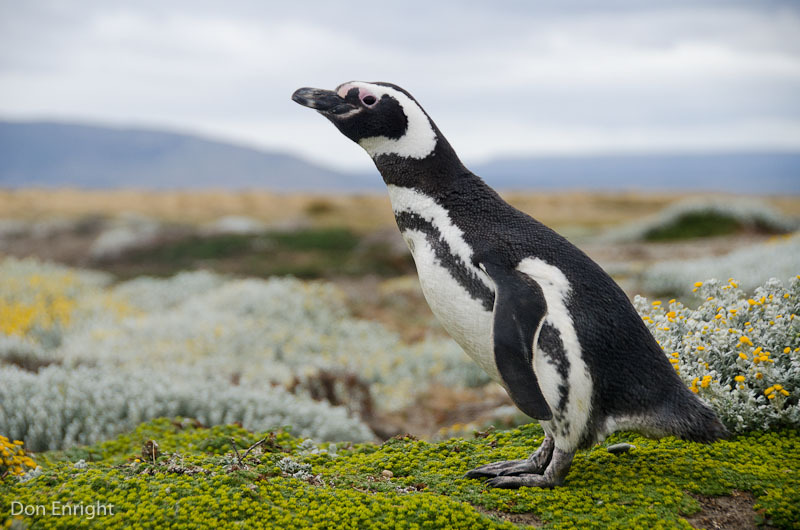 A penguin can spend months at sea without stepping onto land. And that presents a conundrum: how do they drink? Water, water everywhere, and all of it salty. Turns out the fish they eat provide a fair bit of moisture, and they get the rest by drinking sea water. Yum. 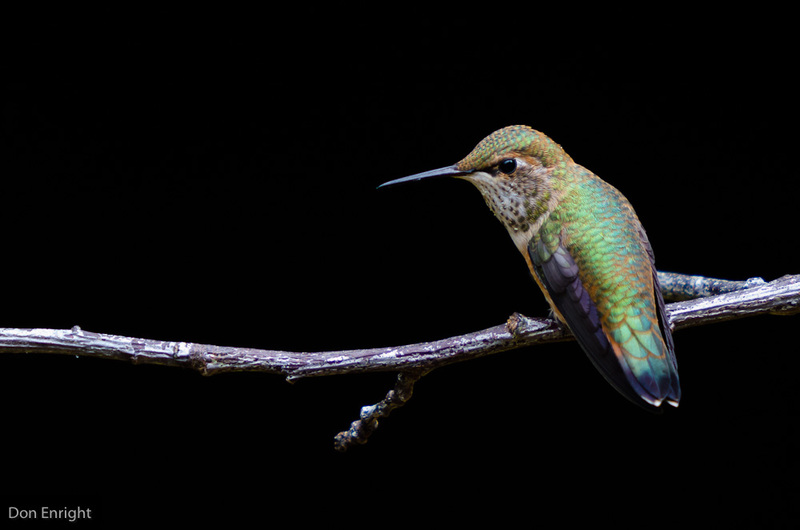 Many sea birds can do this: they have a salt-excreting gland at the base of the bill. Mom and tot. Well, it could be Dad and tot, too- the sexes are identical. So it must be quite a change of scenery for them to hit the breeding colony in springtime, some time in September. (Southern hemisphere, remember? You knew that, right?) Penguins mate for life, but they don’t stay together year-round. It’s called site fidelity: they show up at exactly the same place each breeding season, and sooner or later their mate shows up too. I imagine that if they spoke they’d say something like, “Oh, you again. How have you been? Hey do you want to…” “Uh, yeah, sure.” And on it goes. Months apart, with a brief but intense partnership onshore to raise the young. I know a number of couples who might benefit from a similar lifestyle. This one’s a little younger. They carve out a burrow, she lays two eggs, and the 40-day incubation begins. Like any modern couple, they take turns… but the shifts are up to 20 days long each. One waits while the other fishes: it must be quite a weight-loss program for the one stuck on shore. Getting ready to jog down to the beach. Well, it’s more of a waddle. And things are getting tougher for these birds. The abundant waters off Patagonia aren’t as rich as they once were, and where human fishing pressure is high, penguin numbers plummet. Chile and Argentina seem to be faring better than the Faulklands, where a young penguin’s chances are statistically much lower. Would this be a good time to give a little reminder about eating sustainable seafood? I think so. At any rate, it was an honour and a privilege to see what real life is like for the penguins of Otway sound. I made a short video of the experience. Enjoy. 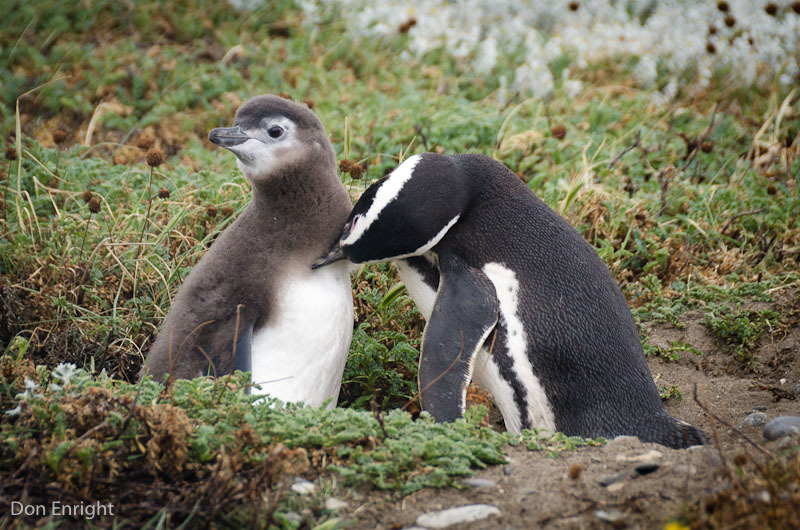 Posted in Ports of Call, South America, Wildlife and tagged Chile, colony, cruise, Magellanic, penguin, South America.